You cannot say that Elon Musk doesn’t dream big. Today he outlined what would be his biggest aspiration ever – colonizing Mars. If you watched Musk, who is SpaceX Founder, CEO, and Lead Designer deliver the details today on his Mars colonizing mission to the International Astronautical Congress in Guadalajara, Mexico you may have been struck by the matter-of-fact way he delivered the details of what even he calls a very complex and dangerous mission. “I think the first trips to Mars are going to be really, very dangerous. The risk of fatality will be high. There is just no way around it," he said. "It would basically be, 'Are you prepared to die?' Then if that's ok, then you are a candidate for going." The details of the SpaceX Interplanetary Transport System mission are daunting -- it requires a massive booster system and spacecraft (think a ship north of 416ft tall and 55ft in diameter – NASA’s Apollo mission rocket, Saturn 5 was 363 ft. tall) that would be capable of carrying about 100 people and their luggage to the Red planet. Musk ultimately wants to send 200 people per flight to eventually lower the cost which could start at $200,000 per person. In the end Musk want to send at least a million humans to Mars and establish a self-sustaining, fully functional city with pizza joints and everything, he said. Such a plan requires thousands of trips with a “Battlestar Galactica-like” armada of spacecraft to achieve, he said. Musk outlined 4 key elements of achieving his Mars goal: A fully reusable rocket system the ability to refuel in orbit, the capability of producing fuel on Mars and using the ideal propellant -- which is cryogenic methane -- in the rocket engines. 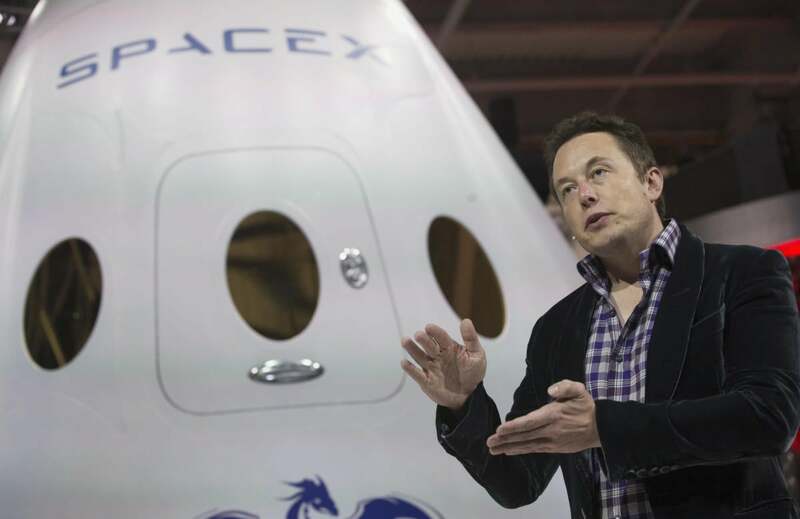 The rocket and spaceship are known around SpaceX as BFR and the BFS, which means, if you’ll pardon the reference, " “Big F***g Rocket” and "Big F***g Spaceship.” Musk did say he expects the first spacecraft to be named “Heart of Gold” after the spacecraft in Douglas Adams’ Hitchhiker’s Guide to the Galaxy. “It will be quite tectonic when it takes off,” Musk said. The reusable rocket booster is key in that a typical mission will begin with the spacecraft atop the booster, which features 42 SpaceX Raptor rocket engines being blasted into Earth’s orbit where the booster will separate and return, upright, to the launch pad. Once on the pad, the booster will be fitted with a tanker full of fuel, then relaunched to rendezvous with the spacecraft and fuels it up. It may take 3 to 5 trips to in fact fill the spacecraft entirely for its Mars journey – which will last about 80 days, Musk said. For those traveling to Mars inside the BFS, there will be zero-G games, sleeping cabins and a restaurant – "It has to be fun or exciting. It can't feel cramped or boring," Musk said. Once at the Red planet, the spacecraft will face its heatshield down and slowly lower to the surface. The idea is that other unmanned spacecraft would have already made the journey with supplies that the passengers could use to set up homes and a fuel processing facility and other infrastructure to live on the planet. “Putting a propellant depot on Mars or Juniper or other places in the outer space would let us explore beyond Mars,” Musk noted. It will take on the order of 50-100 years -- at a rate of about 20-50 trips over that timespan – to end up with the 1 million people Musk envisions would colonize Mars. Obviously a lot of planning and money will be needed to make this whole SpaceX Interplanetary Transport System mission a reality. But some work has been started – for example during his presentation Musk show the test-firing of a Raptor engine and a massive fuel tank that looked like it needed its own hanger to house. But in the end the multi-billion-dollar mission will need a massive public-private investment to achieve, Musk said. There are many organizations and companies that would partner with SpaceX to be part of this mission, Musk said. NASA would be one of the biggest partners obviously but it has Mars plans of its own – though quite less ambitious than SpaceX’s. Other private groups such as Mars One and Explore Mars have also announced plans to go to the red planet.